Here is a quick way to add dimension to wall hangings, table runners, bags, and other quilting projects: make a flower using two contrasting 5" squares. 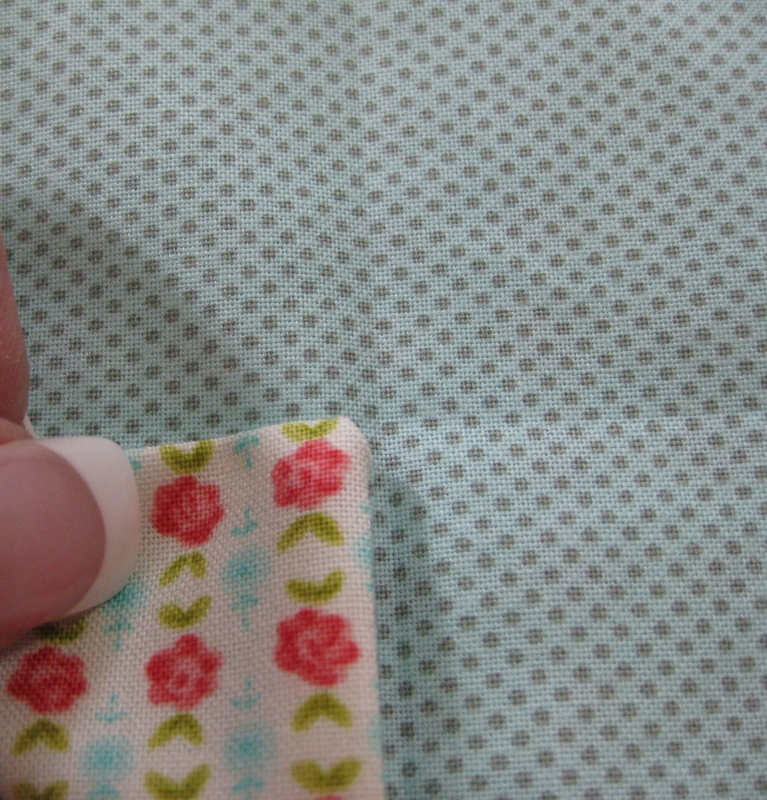 With right sides together, sew around the squares leaving a 1.5" opening so you can turn fabrics inside out. After snipping off corners, turn squares inside out and press it. Slip stitch the opening shut. ... securing them with a small stitch as you go. Make sure all corners are secured as shown. Flip each corner as shown to expose contrasting fabric. With a small, invisible stitch, join each petal about 1/2" away from the flower center. ... and you are done! You can make it puff up by pushing up the center, or you can press it flat. Solid fabrics will make it even prettier.